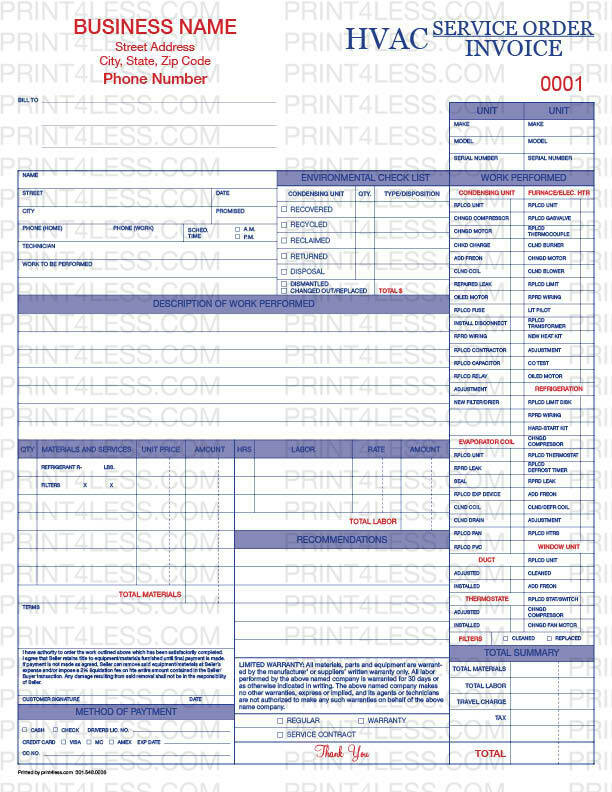 The wondrous work order form can perform no less than three jobs! 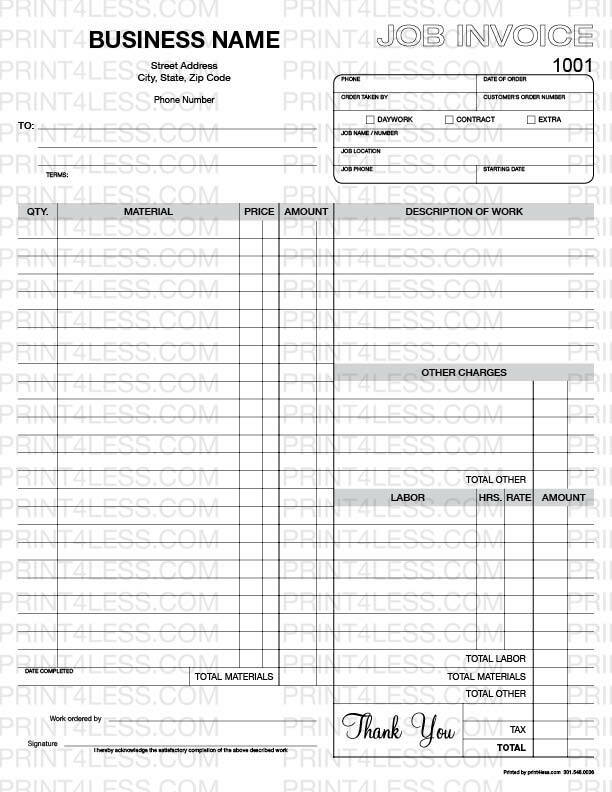 Write up a work order, send an invoice when the job is done, and keep a permanent cost record for your business! 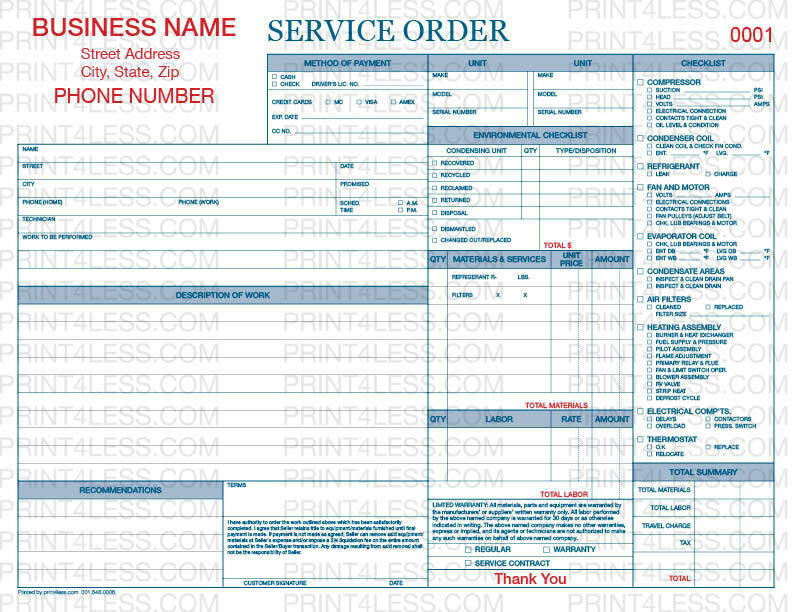 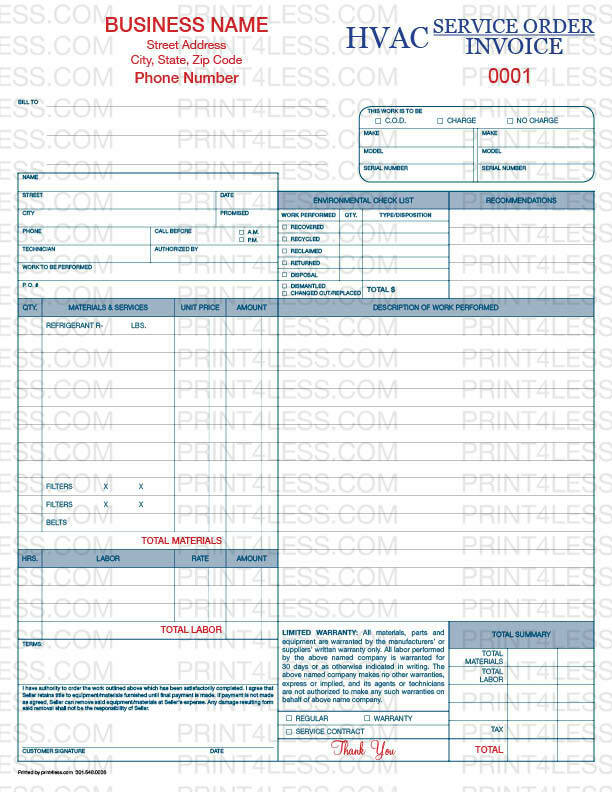 Large format carbonless work order features preprinted sections for easy documentation of materials & labor costs.